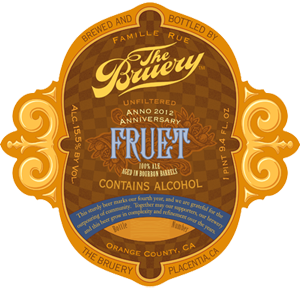 FRUET was the Bruery’s 4th anniversary beer and was released in May of 2012. It’s an Old Ale with a massive 15.5% ABV and 45 IBUs. Fruet poured a dark mahogany color. Holding it to the light revealed ice tea-colored highlights along the edge of the glass. The head is there and gone, but it did leave behind a ring of cream that rode the wave all the way to the bottom of the glass. Before the glass even came close to my nose I knew I was in for a big beer. Bourbon, wood, caramel, leather, brandy, and red apple were all present and accounted for. Each whiff brought a different aroma to the forefront, allow it its time to shine like models on a runway. To say that I was excited to take a sip is a major understatement. With the nose as big as it was and that 15.5% ABV staring at me I wasn’t shocked to get hit with a big dose of alcohol right up front. Brandy, bourbon, and molasses kick things off and how. These flavors blended together in a way that allowed each of them to be apparent without any one standing out too much. 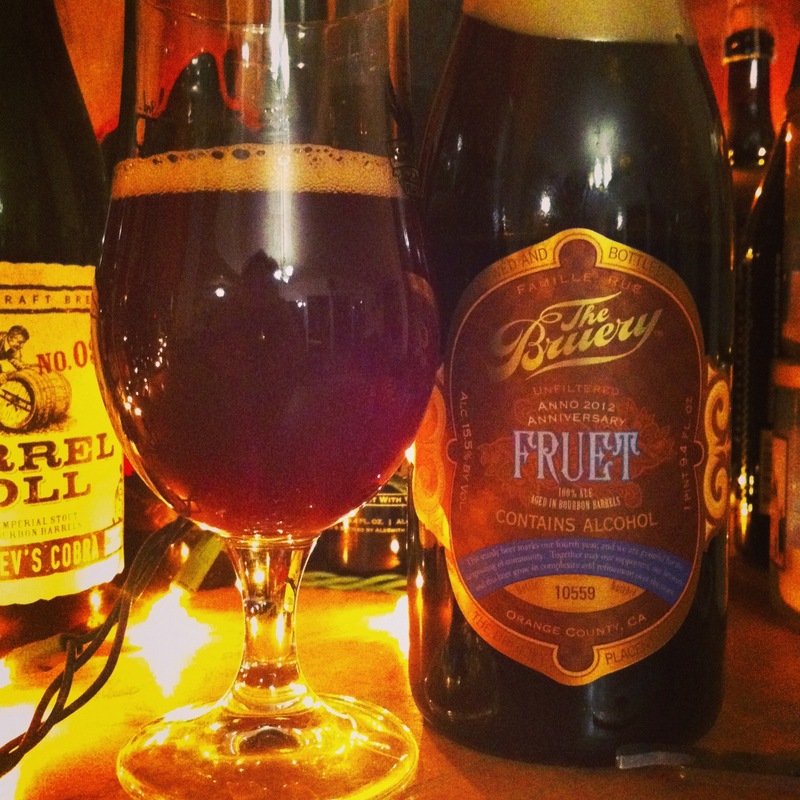 A fruitiness pops up in the middle that gave off notes of red apple, raisin, and fig that did a good job to balance that initial blast of booze. It ends with a Sugar Daddy (ie caramel and brown sugar) sweetness that does a good job of putting a bow on the whole thing. Fantastic! Mouthfeel was surprisingly light, but noticeably viscous. The high alcohol content resulted in some burning in the throat and stickiness around the gums. Definitely not one you would want to chug. I sat on this beer for over a year and a half. I don’t know if that had positive or negative effects on the beer, but either way it was a handful. The flavors were all large and in your face, with a booziness that wakes you up and then puts you to sleep. I kind of wish that there was a more defined stand out flavor to the beer, but since I knew going in that it was an Old Ale I was wasn’t too surprised by this melding of flavors. As it stands the flavors coalesced nicely in a smooth after dinner beer that I wish I had more of.